Html.Password is the helper which renders a Textbox. This overload expects name, which is used to set name and id attribute. The name parameter passed in the syntax, is used to set name and id attribute of the control. It renders input element with type = "Password". This overload accepts two parameters. The name and value parameter. 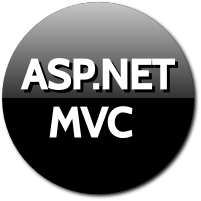 The value passed as value parameter is set to the value attribute. In the above syntax we are passing value as well. We are passing password as value. The value passes as the second parameter is used to set the value attribute of the control. The third overload along with name and value parameter also accepts htmlAttributes object as parameter. We have set maxlength property to 10 using htmlAttributes object. We cannot enter characters more than 10 after setting this property. We can see in the above code that maxlength attribute is set to 10. This attribute accepts three parameter, name value and Dictionary object containing one or more attributes to set. We have defined the Dictionary object and passed as a parameter. We have passed two attributes in the Dictionary object i.e. maxlength and id attriute. Both are set in above code.